The Digital Place Based Advertising Association (DPAA) has announced that renowned pollster and brand messaging expert Dr. Frank Luntz will be a featured speaker at the association’s 2016 #VideoEverywhereSummit. The 9th annual gathering of more than 700 delegates representing brands, agencies, digital place-based networks, ad tech, mobile/location companies, data firms and others from the full spectrum of multi-screen advertising will be held at the iconic Roosevelt Hotel in New York on October 27 as part of New York Digital Signage Week . 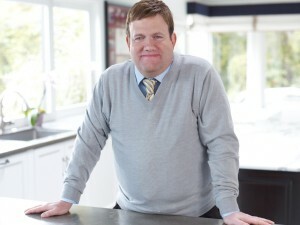 Luntz will speak on the importance of using the right language and messaging in advertising, and will share his unique insights on the presidential election less than two weeks before voters go to the polls. Luntz has worked for 50 Fortune 500 companies and CEOs, and has written, supervised and conducted more than 2,500 surveys, focus groups, and tests and dial sessions in more than two dozen countries and six continents over the past 20 years. He is the author of three New York Times Best Sellers. His most recent book, WIN, reached No. 2 on Amazon and No. 3 on The New York Times Business Best Seller List in its first month in print. He has written about the power of language for The Wall Street Journal, The New York Times, Los Angeles Times, Financial Times, The Times of London, and The Washington Post. In addition to Luntz, the Video Everywhere Summit will present brand and agency leaders and decision-makers during a full day of leadership talks and case studies. The Summit also will feature networking events and experiential exhibits. The Video Everywhere Summit is the largest one-day event dedicated to multi-screen engagement, video neutral planning, mobile/location data and the role of digital place-based plus digital out-of-home in today’s fast evolving media ecosystem. The historic Roosevelt Hotel, known as ‘The Grand Dame of Madison Avenue’ is the official hotel for New York Digital Signage Week . Attendees to the Video Everywhere Summit or any other of the week’s events are eligible for preferred hotel rates. These rates and all Summit information can be accessed here .